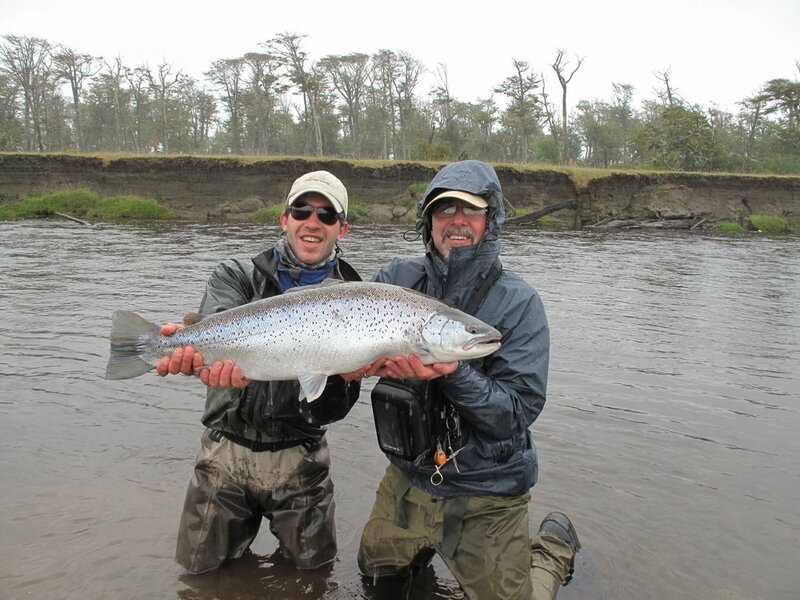 The fishing in Argentina can be divided into three broad types: classic Patagonia trout fishing, warm-water fishing in the northern portion of the country – primarily for dorado, and fishing for sea-run browns in Tierra del Fuego. We concentrate on the first two. Patagonia trout fishing can range from floating and wading on the classic rivers of northern Patagonia – the Malleo, Chimehuin, Alumine to name just a few- to an epic journey to a place like Kooi Noom which literally defines “remote” and provides opportunities to fish for aggressive trout on water ranging from a spring creek to a high mountain lake in a setting where you will not see another fisherman other than your travel partners for the entire week. For those who can’t see travelling to another country to fish for a species they can catch at home (trout), Golden Dorado are a great option. Dorado are beautiful, exotic fish that are aggressive and hard-fighting. They inhabit the warm waters of northern Argentina and depending on location can reach well over 30 pounds. This is as different from trout fishing as you can get. The fish can be outrageously aggressive and are famous for their tarpon-like acrobatics once hooked. The fishing typically involves casting large streamers to fish that lie in ambush much like largemouth bass - with an attitude. A wonderful side benefit to dorado fishing is the wildlife viewing that can include a wide variety of birds, as well as monkeys and capybara. Each option offers something different and we are here to help you choose which one will best fit your groups skills and expectations.